Are you having trouble with self-confidence? A lot of women are in the exact same place. Shy women often have difficulty making new friends, succeeding in business, and attracting a man. This doesn’t have to be you anymore. You can boost your self confidence easily with pheromone perfume. When you’re self-confident, you are sure of yourself, your abilities, and your place in the world. You’re aware of your good qualities and believe that you deserve love, acceptance, and happiness. Self-confident women don’t allow others to bully or mistreat them. They feel good about themselves when they go out on a date and expect to be treated well. When you don’t feel confident in yourself, it shows. That nervous, unsure smile. That hesitation when you try to speak. It’s almost a cruel design of nature that the less self-confidence you have, the worse people treat you. Women who lack self-confidence are often passed over for promotions, turned down for dates, and feel like an outsider even among friends. It has even been proven that low self-esteem can cause medical problems such as clinical depression, digestive disorders, and heart disease. Think of it as “The Law of Attraction” or like attracts like. The more good energy and positive thoughts you put out there in the world, the more you’ll get back. When you sincerely believe you’ll succeed, you do. It really is that simple! Self-confident women are much more likely to have a good working relationship with their boss and co-workers. They enjoy more promotions and company ‘perks’. Anxious women find it hard to make new friendships and maintain the ones they’ve built. Lack of self-confidence can also make it easy for some women to become targets of bullies and emotional vampires. It’s easy to become a doormat when you just don’t know how to say, “no”. When a woman feels confident and good about herself, however, she maintains solid friendships with healthy boundaries. Nowhere is self-confidence more important than in the dating world. Women who lack self-confidence often find themselves either alone or with the wrong type of guy. Predatory men and abusers look for women who have low self-esteem because they are more easily controlled. On the other hand, when you go out onto the dating scene brimming with self-confidence, the right kind of guy will be attracted to you. He’ll see that you’re not a woman to be taken lightly but one to be respected and treated well. Science has proven that pheromones affect human behavior. Now you can harness this powerful science and put it to work for you. Pheromone perfumes contain undetectable yet powerful chemicals that increase your feelings of relaxation, trust, social openness, and sexual attractiveness. Pheromone perfumes are very versatile. You can use them in business, platonic, and romantic situations to increase your confidence and improve your social behavior. The next time you walk into the office or the bar, there will be something new and different about you and people will want to trust you and open up. There are lots of pheromone perfume products on the market that promise you a better love life. Scents like Pheromax Women’s Unscented Pheromone Product is perfect for the lady who wants to reel ’em in and turn heads wherever she goes. This powerful love potion contains a knock-em-dead combination of androstenol and copulins that’s sure to make him want to spend the night. 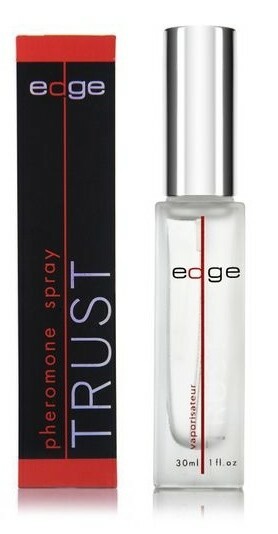 But when you’re looking for something a little more subtle, something you can use in any situation every day of the week, you’re looking for Edge Trust Women’s Pheromone Perfume. Edge trust contains oxytocin, otherwise known as the “trust” pheromone. Not only does it make you feel more confident and relaxed, it helps others feel more comfortable with you. Self-confidence isn’t something that comes overnight but if you work at it, you can boost your self-esteem in no time. 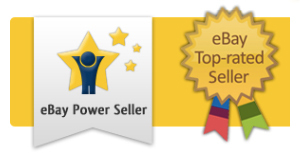 There are plenty of self-help books on the market designed to help improve your confidence. Also, if you feel you need it, visit with a therapist to talk out your reasons for low self-esteem. A new, more confident you is just around the corner. You deserve the best in life.